A Brilliant Idea With a Drill and Spinner. Spinner can be not only a toy, but also a useful tool. For example, when manufacturing a miniature lathe. Also, this diy idea uses a hand drill. 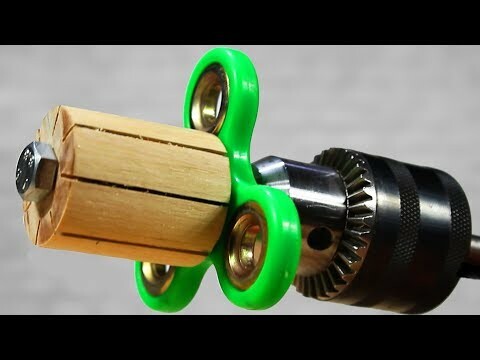 This lifehack can be useful in woodturning craft.